Just who is Tom Barrack and why is Tom Barrack and Donald Trump in the news this week? Well, we’re ready to give you the full Tom Barrack wiki, including the Tom Barrack net worth, and the significance of the Tom Barrack RNC speech. The source of Tom Barrack’s wealth (which is estimated in the billions) stems largely from his work in Real Estate. In 1991, he founded Colonial Capital, which purchases bad or distressed real estate loans. It sounds a bit funky, but today Colonial Capital manages over $34 billion in assets. $18 billion of that sum stems from 16 commercial real estate properties. Barrack’s business is not just focused in the U.S. He counts $200 million as Middle Eastern real estate and over $530 million in German real estate loans. Before Barrack got into real estate, he was a lawyer for some pretty important people. Most notably, he was the former U.S president Richard Nixon’s personal lawyer. That’s when he worked for the law firm, Herbert W., Kalmbach. He would later begin legal work for Saudi princes when he learned to speak Arabic. He now serves as a Trustee to the University of Southern California, which he attended and earned his law degree. Tom Barrack has made clear his support for Republican Presidential candidate Donald Trump. Barrack’s support of Trump has many layers. First, he has been a friend of Donald Trump’s for 35 years. In an interview with Bloomberg, he says that they have thrown birthday parties for their children together and were even there for each other at the funerals when they both lost their fathers. Barrack has also raised considerable funds for the Trump campaign. Just last month, he claimed to have gathered approximately $32 million in donations to a new Super PAC for Trump called “Rebuild America Now.” However, in a recent report by Bloomberg Politics, Trump fundraiser Doug Manchester says that “Tom Barrack and I just decided we would support the campaign to the maximum we can.” That meant not donating the $32 million raised for the Super PAC and instead sticking to the approximately $450,000 maximum individual donation amount. Despite what seems like an odd decision, Barrack will still be speaking on the final day of the RNC, which is to take place tonight (Thursday, July 21). Other speakers in the convention include Peter Thiel and Ivanka Trump. Some fun facts about Mr. Barrack you may not have known. He even plants his own vines on the 1300-acres ranch that he owns, north of Santa Monica. Yes, that Neverland Ranch, as in Michael Jackson’s former home! Yup, that’s right; a real castle! He summer’s in France in a real life castle. Thomas Barrack is a proud American. 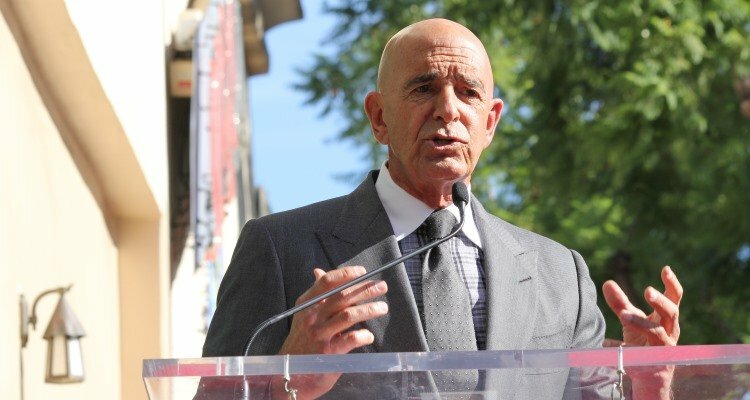 The Tom Barrack family consists of his wife and five children, two of which have attended his alma mater of USC. Speaking of USC, Barrack donated $15 million to the Marshal School of Business at his former institution on behalf of his family. When Barack donated that amount, the school had accumulated $3 billion in donations at that point.